It was a tragedy that shocked Chapel Hill and the world. 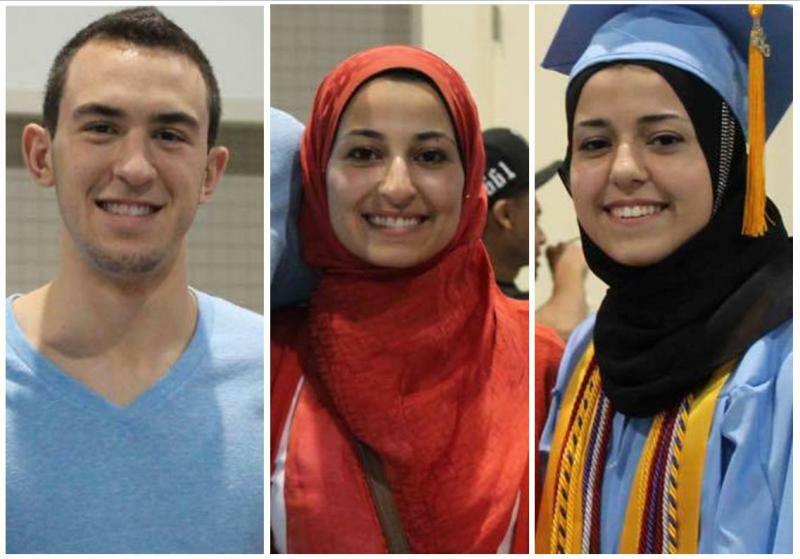 On February 10th, 2015, three Muslim American students were shot and killed at the Finley Forest Condominiums in Chapel Hill, resulting in mourning both locally and across the globe. 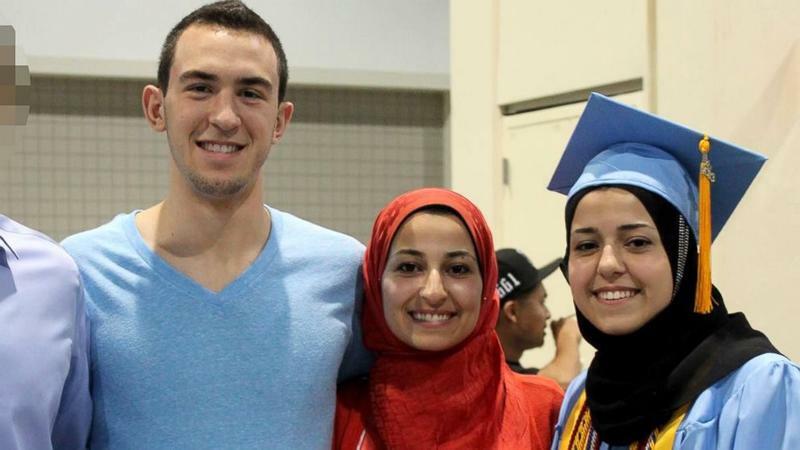 The deaths of Deah Barakat, 23, Yusor Abu-Salha, 21, and Razan Abu-Salha, 19, rattled the local community and canvassed the world through social media with the power of tags like #ChapelHillShooting. This selection collects news and features from WUNC News, The State of Things and other sources. 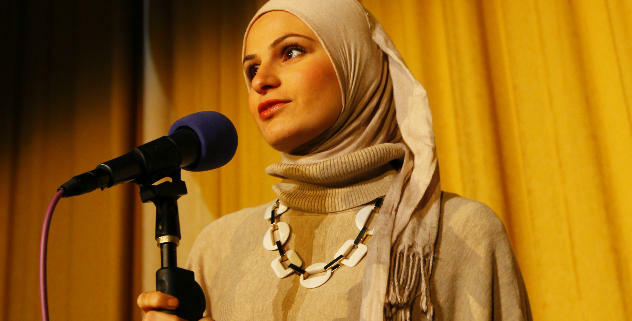 Rafeef Ziadah is a Palestinian poet and human rights activist living in London. Her poem, “We Teach Life, Sir,” is powerful and poignant reminder of the human condition in conflict. On this bonus episode of Stories with a Heartbeat, host Will McInerney reflects on some of the stories from our past episodes covering the Chapel Hill Shooting in season 1. 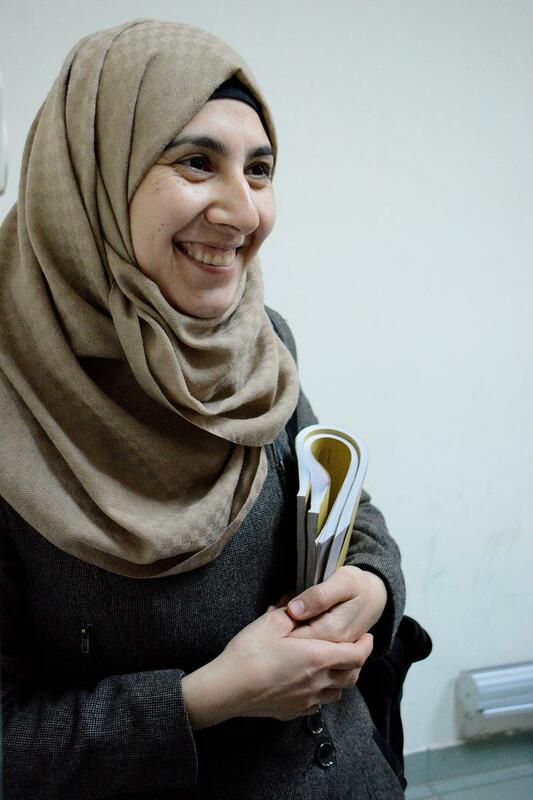 Rafeef's beautiful and moving poetry is emblematic of the legacy and the lasting message of life that Deah Barakat, Yusor Abu Salha, and Razan Abu Salha left behind. Listen to Rafeef's poem with the link below. It’s been an eventful few days for Raleigh native Farris Barakat. 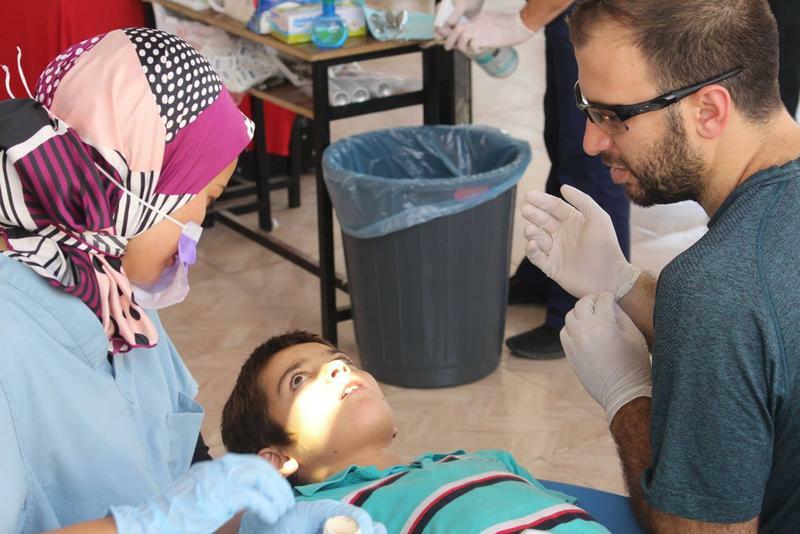 He’s in southern Turkey, working with Project Refugee Smiles, a volunteer group that provides dental care to Syrians in refugee camps. Stories with a Heartbeat is a new WUNC podcast about the human condition in conflict. Host Will McInerney is an award-winning poet who travels the globe exploring conflict and what it says about us as people. Stories with a Heartbeat taps into the power of poetry, stories, music, and conversation to help us decipher conflict and find meaning. In episode three, we follow Farris Barakat to Reyhanli, Turkey where he is working to complete his brother's mission and help Syrian refugee kids smile. Stories with a Heartbeat is a new podcast hosted by poet Will McInerney that explores the human condition in conflict through poetry, listening, and conversation. 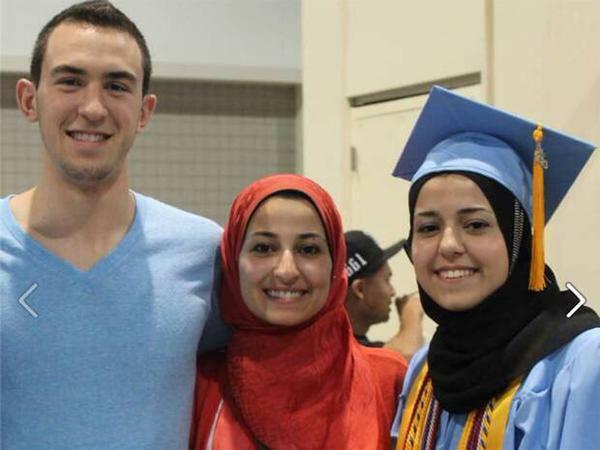 In episode two, host Will McInerney talks with reporter Reema Khrais about her personal connections to the Chapel Hill Shootings, and Will travels to the Syrian border to visit a dental clinic named in honor of Deah, Yusor, and Razan. On the day of her youngest brother’s wedding, Suzanne Barakat combed his hair, held him and watched him dance in a ballroom with his new life partner. She thought about how her 23-year-old brother, Deah, was no longer a lanky, basketball-obsessed teenager who struggled to focus on school. 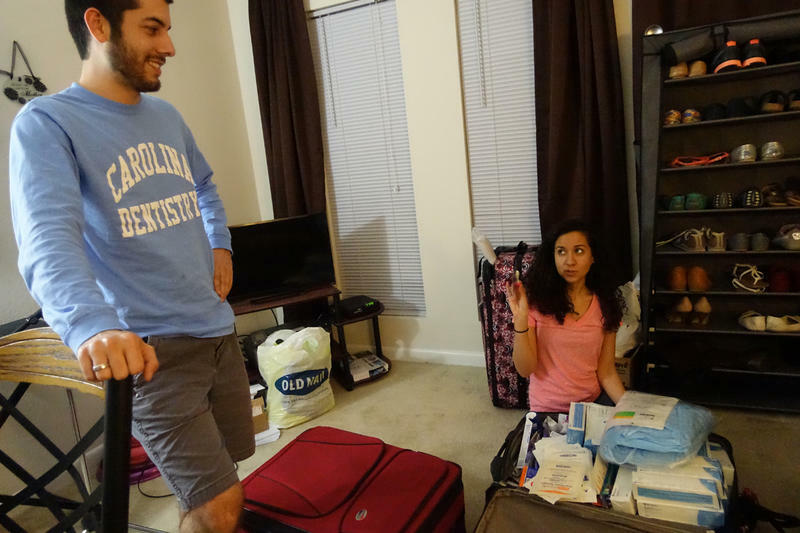 He had transformed into a well-rounded, ambitious student at the University of North Carolina School of Dentistry and was marrying someone who shared his passion. NPR's Ari Shapiro talks with Farris Barakat, who lost relatives in the Chapel Hill, N.C., shooting. He recently visited a Syrian refugee camp to honor his brother's legacy. 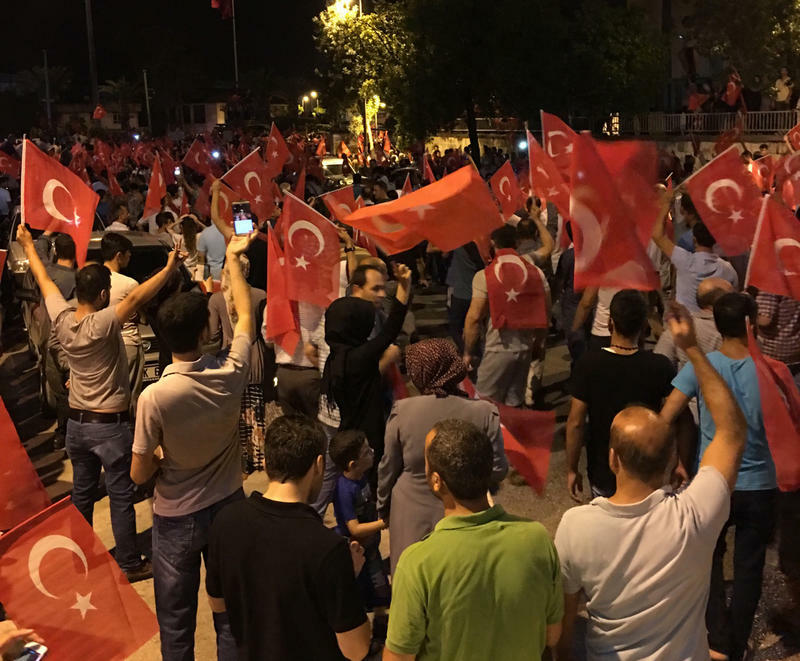 A few weeks ago, WUNC reporter Jorge Valencia boarded a series of planes and buses en route to Reyhanli, a small city on the Turkish side of the Turkey-Syria border. He was following a group of American dentists and students who were willing to travel into a dicey part of the world to complete a task: they wanted to carry out a mission that had been planned by Deah Barakat and Yusor Abu-Salha -- aspiring dentists who’d been planning on giving free care to refugees of the war in Syria before they were murdered by a neighbor in Chapel Hill this year. Autopsies indicate that a man charged with killing three Muslim college students held his gun to the heads of two victims when he pulled the trigger after shooting the first in the doorway. 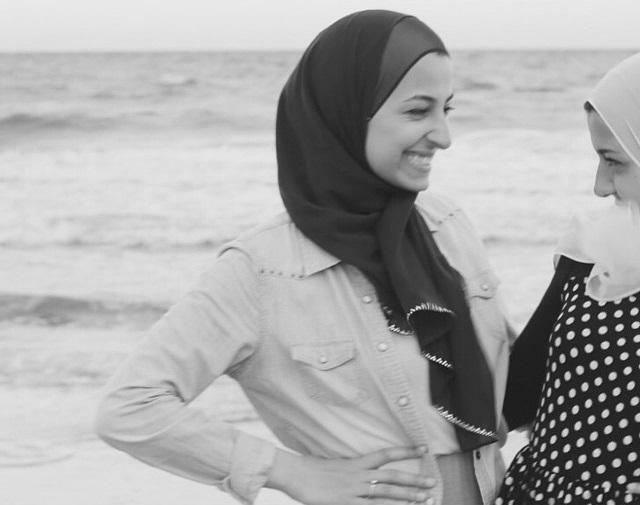 Autopsies released Wednesday say 21-year-old Yusor Mohammad Abu-Salha and her sister, 19-year-old Razan Mohammad Abu-Salha, died of contact wounds to the head, indicating the gun was very close to or against their scalps. The older woman was shot in the top of the head. Her sister was shot in the back of the head. 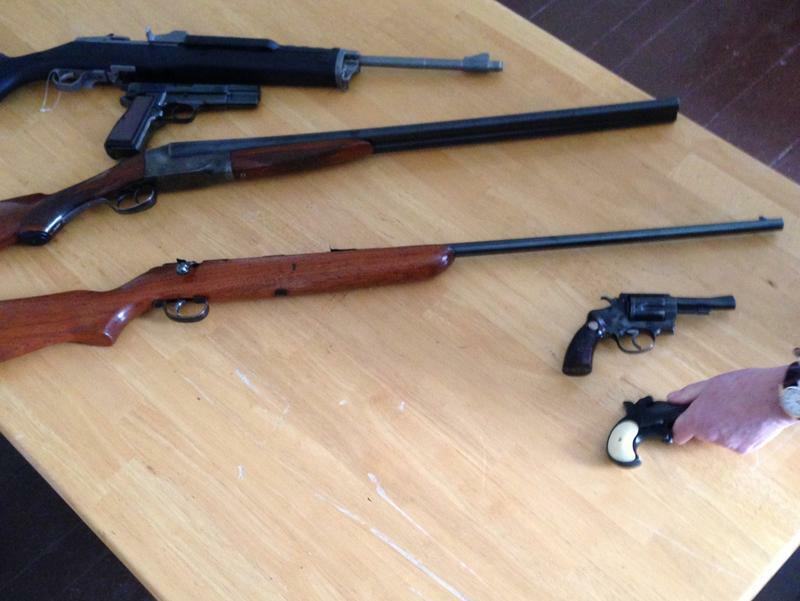 Why Have There Been No Executions In North Carolina? Earlier this week, a judge in North Carolina determined the Craig Steven Hicks would be eligible for the death penalty for his role in the shootings of three students in Chapel Hill. But the state of North Carolina has not put anyone to death since 2006. The state is one of 34 in the country that allows the death penalty, but the practice here is rarely used. That was not always the case. 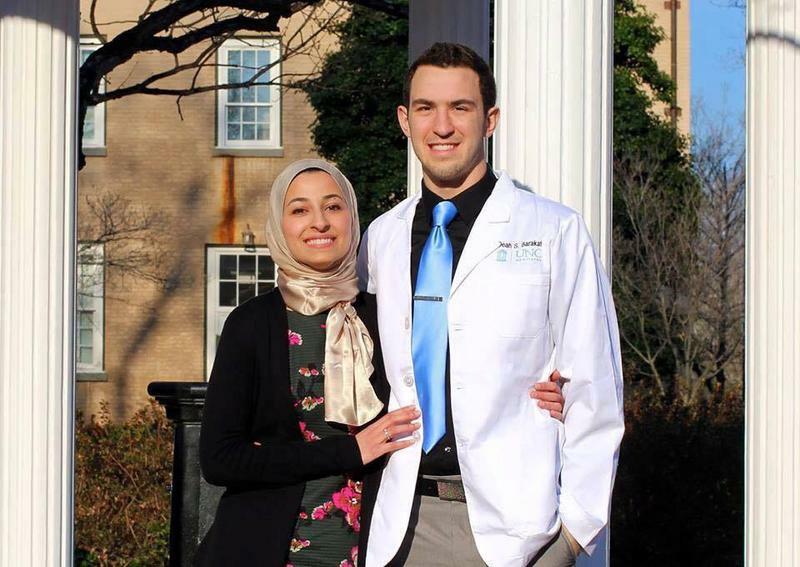 On February 10, Razan Abu-Salha, her sister Yusor Abu-Salha and Yusor's husband Deah Barakat were shot and killed in their home in Chapel Hill. 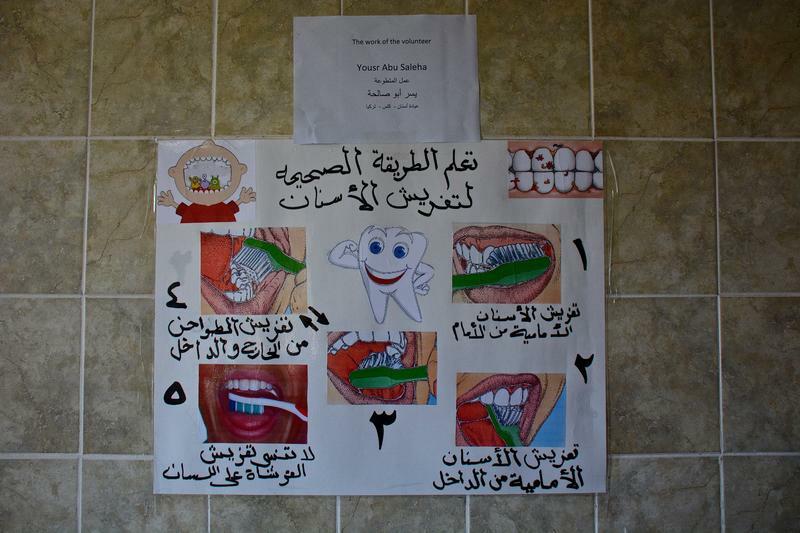 Deah and Yusor were both preparing to be dentists and felt called to help Syrian refugees in need of dental care. 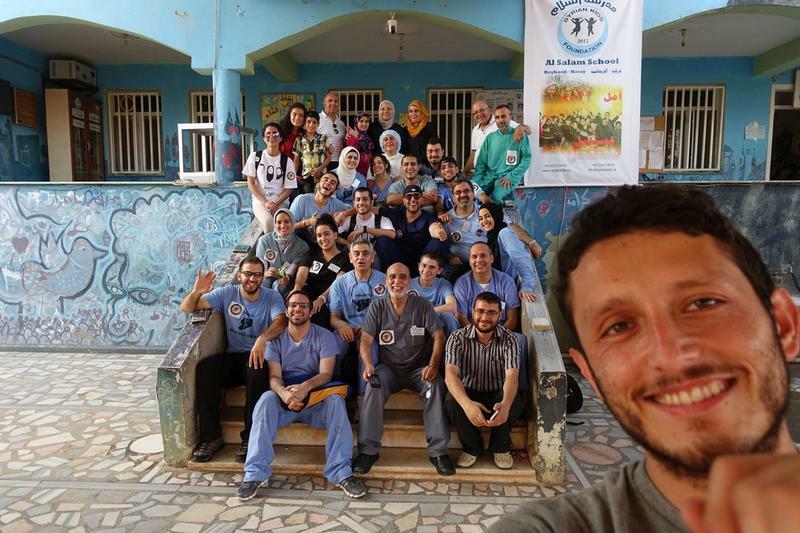 Chapel Hill Poet Will McInerney and Mike Mallah are traveling in the Middle East this month documenting the work of the Syrian American Medical Society. He sent us this postcard. It's part of a project called Stories with a Heartbeat. 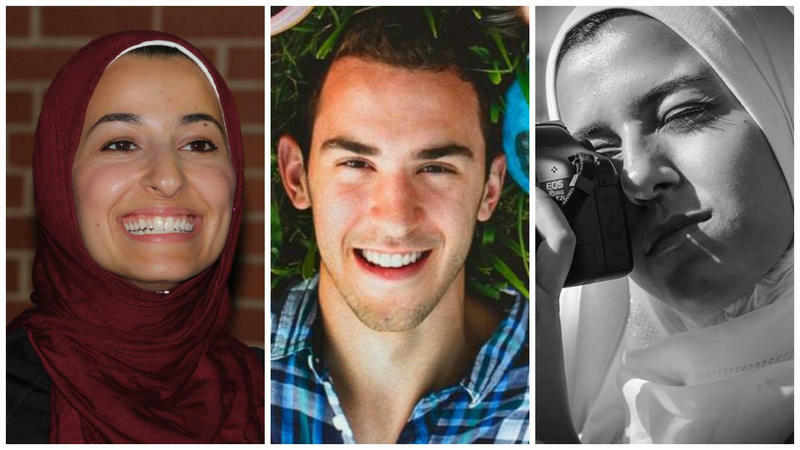 It's been a month since news broke that three young Muslims were shot to death in Chapel Hill. For poet Will McInerney, it hit especially hard. He’s from Chapel Hill, knew the victims through friends, and like many, has been trying to sort it out. This month Will McInerney and translator Mike Mallah are traveling across the Middle East and working with the Syrian American Medical Society and the Palestine Children's Relief Fund. Their project, Stories with a Heartbeat, documents the work of medical NGO's through creative storytelling and photography. He sent us this Poetic reflection on what it's like to be in the region and say: "I'm from Chapel Hill." 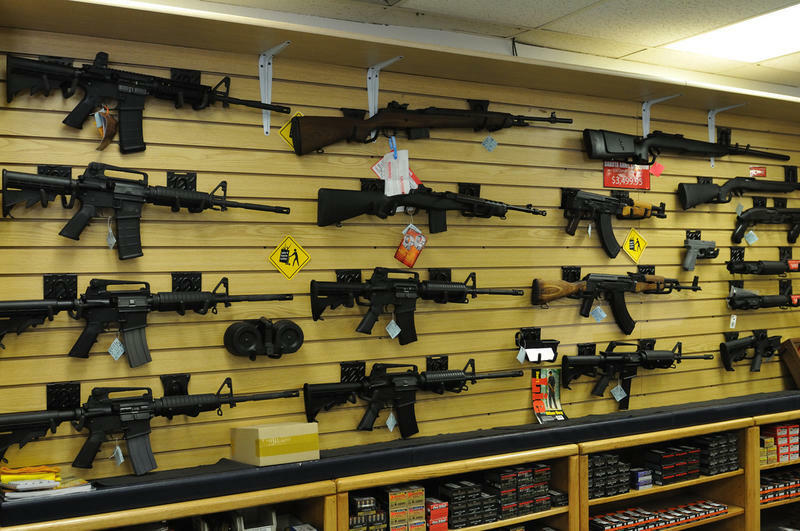 Hear poet Will McInereney's reflection on the Chapel Hill shootings. Then, Morning Edition Host Eric Hodge gets an update from Reporter Jorge Valencia about the case against alleged shooter Craig Hicks.